Now Connect Your Mobile In Download Mode By Pressing Vol- & Home Key Then Press Power Key. 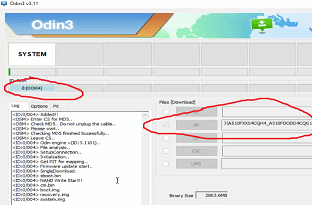 After That Now Extract Odin3 v3.11.1.rar & Open It. And Select File In (AP) Tab. Now At First Flash Phone With COMBINATION_FAC_FA51_A510FXXU4AQC1_FAC_CL9213193_QB12832200_REV00_user_mid_noship.rar (File). Again Connect Your Mobile IN Download Mode By Pressing Vol- & Home Key Then Press Power Key. And Now Flash Your Phone With A510FXXS4CQH4_A510FDODD4CQG1_INS.zip (File). 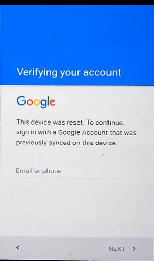 After That, Your Phone Is No More Ask For Previous Google Account. Now Go To Setting Then Go To About Phone Then Go To Software Information. After That Tap On Build Number 4 to 7 Times For Enable Developer Option. 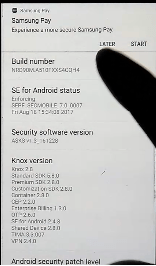 Now Go To Developer Option There Is Option OEM Unlocking Enable It. After That Complete Reset Your Mobile. 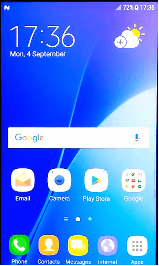 Now You Are SuccessFully Bypass Google Account Of Samsung A510FD (Android 7.0).